As I said in my last post, I'll be posting several "celebrity vocal" albums for these next few posts. As I've mentioned before, I'm a major "Star Trek" fan - I've been on several Trek cruises, been to several sci-fi conventions, have a tattoo of the Starfleet command insignia (am I scaring you yet? ), and have quite a collection of Star Trek memorabilia, including an arcade size STNG pinball machine. I've met quite a few of the actors from the various TV shows and movies, but my most exciting meeting was that of Leonard Nimoy - Mr. Spock (oh, one of my cats is named "Mr. Spock"). After I met him and had him autograph my copy of "I Am Spock", I felt that I had attained the Holy Grail of Star Trek-dom and could die happy. I remember watching "Star Trek" as a little girl, and Spock was definitely my favorite character. After the show went off the air, I remember watching Leonard Nimoy on "Mission: Impossible". Then he disappeared for awhile (or rather, I just didn't see anything he was in). When I went to college, I majored in computer science (of course - nerd that I am) and the first thing I saw in our department office was a huge computer print-out of Mr. Spock. My interest in "Star Trek" was renewed, and that interest eventually grew into a major dedication to all things Star Trek. Well, anyway, Leonard Nimoy recorded some albums back during the days of STTOS. He may not be the best, but he's certainly not the worst! I rather enjoy listening to his albums and I find his voice somewhat mellowing. He did a couple of albums that were more tongue-in-cheek, but this one is not one of those. 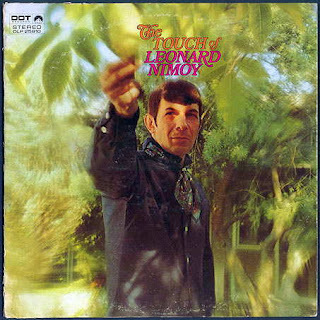 "The Touch of Leonard Nimoy" is mellow, folksy, and a nice album to listen to while relaxing in a hammock on a warm, breezy afternoon. I hope you like it as much as I do! Oh, and for a humorous touch, I'm posting the unedited version of the "Bilbo Baggins" video below! I have been a fan ever since the first newspaper ad hit Newsday in Long Island New York 1966. I still have the cut out page from the newspaper. Somewhere. 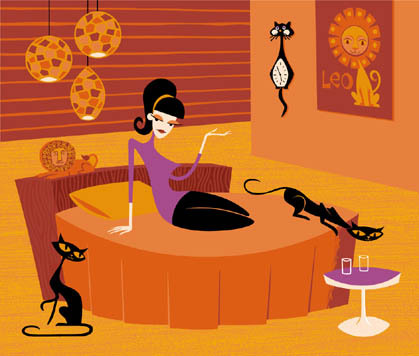 It was, I just recently found out James Bama Art. He's the fellow who did the Doc Savage bantam Books in the 1960's and 1970's. A few days ago I cracked open the complete deluxe remastered DVD set of all the Star Trek Movies. I watched The Undiscovered Country. Also the interviews. James Doohan was particularly interesting on how he save a girl from commiting suicide by befrending her at a Star Trek Convention. selling their home and moving to a smaller one. That episode of Move This House made me feel a little closer to James. He was very well spoken in his interviews. I recommend you seeing it. I did see the William Shatner Roast and I feel that it was horrible and had no purpose. One of the Star Trek productions they all, the crew, forgot to talk about was the animated series which had all their original voices. One episode expounded on Spock as a child, I remember it. I recently purchased the animated series and will watch it soon. Thank You for being so interesting and kind in your postings. Live Long and Prosper, Esther. I never get to use that phrase. I'm jealous that you just got the new DVD set of the ST movies AND that you have the animated series! I had the VHS movies and the entire STNG series, but had to sell them a few years ago when I needed money. James Doohan was the very first ST star I met at a convention here in Dallas. Loved him! He was very nice and gracious. PLEASE post the Nichelle Nichols album! I've been looking for it for years! I'll have to troll through the archives and see if I can find it again. My stuff is very poorly organized, I'm afraid... :( But I'll try. Its only 81.00 dollars and FREE shipping. Do you have a Bonanza LP? And, I have several albums by Lorne Greene, one by Dan Blocker, and I believe I have one called "Ponderosa Party Time" (not positive on that - I'll have to check)! I plan to post them, but ...too many albums, too little time! I'll get around to them eventually. Is there any one in particular you would like for me to post? Pnderosa Party Time would be my first choice. I like anything they did associated with Bonanza. In 1978 I went to Reno Nevada via a trip to San Fransico. When there I saw a bilboard for the Ponderosa ranch. Sure enough it was in Incline Village Nevada , smack dab where the Ponderosa House is on the burning map. It was used from 1967 on. It was so exciting for me that I bought 2 bags of stuff and accidently left one on the counter of the general store. The house was the exact replica of the studio house. To think about them filming were I stood in the house. Loved it ,loved it, loved it! I ate a Hoss Burger at the chuck wagon. I have a lot of tales to tell on that 1978 trip. One was that my friend Phils apartment's back window view was exactly like the movie Rear Window with James Stewart. Same court yard and buildings and side alley. It was possible the movie set designer seen this layout. Maybe this was a common court yard for the area. Don't know for sure but it was very recognizable. Love to hear anything with Bonanza. Just wanted to let you know that I hadn't forgotten about the Nichelle Nichols LP Down To Earth. I got it all ripped and scanned and ready to go. Then I discovered it's available on CD with cool bonus tracks. I can tell you I liked what I heard on the vinyl, so I'm sure the CD is well worth the investment. Watch Star Trek TV Show.